Be the first to hear about their new releases and deals. 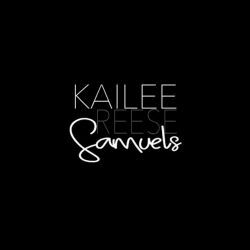 Download the Booksprout app and search for Kailee Reese Samuels today! KAILEE REESE SAMUELS loves spinning tales and interacting with readers. She publishes under both KRS and Kailee Samuels, but there is no distinguishing genre difference, only an aesthetic preference. Her writing contains strong elements of emotion and realism. Readers enjoy big detailed stories with a genre-busting style focusing on one book boyfriend. With his mafia boss father hot on his trail, Sal seeks sanctuary in his MC friends and work as a black-ops agent. Fighting for his happily ever after, Sal vows to protect his one true love, Iris. The 22 books are interwoven/connected with repeat characters. Kailee books click together like puzzle pieces. Visit my website for Sal's Reading Order.